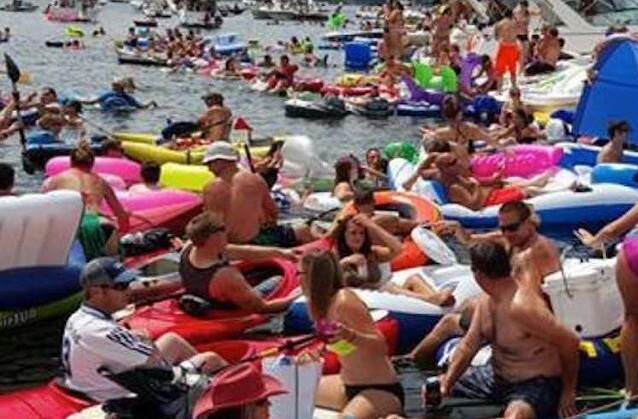 Raftapalooza 2016, a floating party off Thayer Beach in Colchester, is planned for July 23. But Colchester police are already saying that the annual bash — this year’s will be the fourth — will not be welcome to return next year. 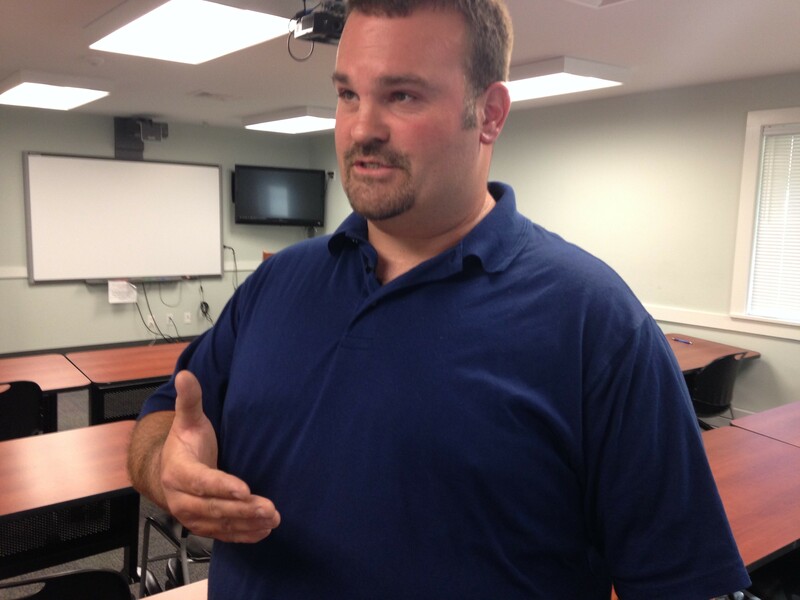 “I’ve been straight up that we do not want this event back in our community in 2017,” Colchester Police Chief Jennifer Morrison announced at a public meeting Wednesday. Trash, trespassing, drunks and parking problems made the mega-flotilla on Lake Champlain a mess last year, some residents said at the police department meeting to address public concerns as the event looms. Each year, the free party and concert seems to get bigger. Last year more than 1,000 people took part. They lashed their motorboats together, drank beer on inflatable rafts and paddle boards, and rocked out to a band set up on a raft off Thayer Beach. Dewyea organized Raftapalooza after seeing similar events out of state. He said he makes no money from the event, and he set up a GoFundMe account to help raise the estimated $5,000 for police and security that his permits require. The event runs from noon to 6 p.m. Dewyea said that this year, he will wind things down promptly and “strongly encourage” people to be off the water by 8 p.m. He also said he understands neighbors’ concerns. Morrison said Raftapalooza has the necessary permits and there will be extra police supervision on water and land. Neighbors should call police with any concerns, she added.